The higher you go, the more grounded you must be PS: Also, please hold your own umbrella! Irrespective of who you are or become, if you can stay humble and grounded, you can claim to have lived your Life most meaningfully and intelligently. US President Barack Obama and his wife Michelle were our special guests at this year’s R-Day Parade earlier this week. An unseasonal steady drizzle required that everyone had to deploy umbrellas. 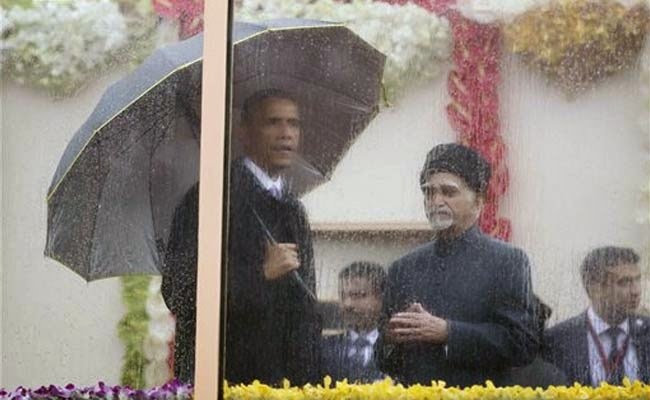 While most Indian dignitaries, including Prime Minister Narendra Modi, had people holding up their umbrellas, both Obama and Michelle held up their umbrellas themselves. People across the sub-continent did not miss this subtle cultural trait that differentiates perhaps much of the Western, particularly US, world from us. We are still steeped in wasteful colonial practices, in the name of “tradition” and “protocol”, while folks from the US are – as they are in several other countries – far more humble and down-to-earth. This is an important lesson to be learnt by us in a country where, at the drop of a hat, people switch to a do-you-know-who-I-am mode and drop names to declare their clout and powerful reach. Obama holding up his own umbrella, to me, is also an un-ignorable spiritual metaphor. The learning is that the higher you ascend, the more powerful and popular you become, the more grounded and humble you must be. At the end of the day, we must all realize, that we are merely messengers. The art we claim to be masters of, the work that we do, the success we achieve, and the wealth we believe we create, are all manifestations of the energy that flows through us. Simply, Life is expressing itself through us. We are what we are not because of us but in spite of us! This is the truth. So, if you were a musician and music is flowing through you, how can you take credit for the music? How can the microphone – which is what you really are – take any credit for creating the music? The microphone must simply be happy at having been an instrument that helped broadcast the music. Staying humble, therefore, means to know that you cause nothing – neither your successes, nor your failures. 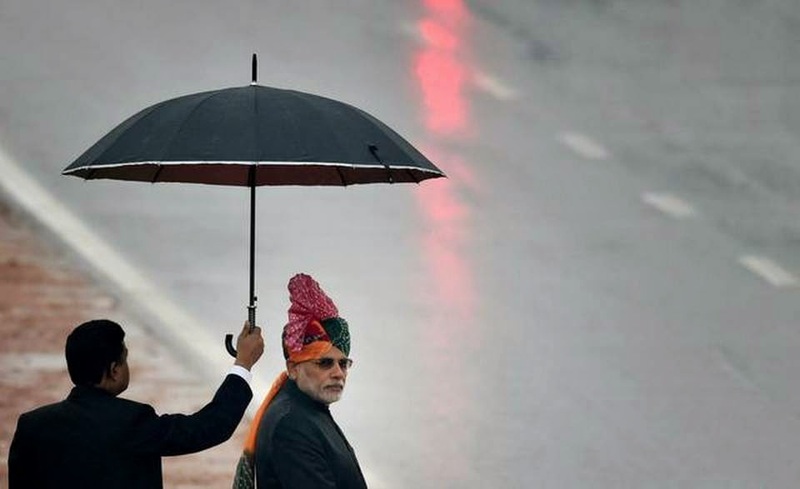 Does a PM need an umbrella “holder”? I guess people know who they love more. The kind that flaunt or those that are self-effacing. But, on a personal note, I can tell you that the best state to be in is to believe that everything happens through you, in spite of you, and never because of you! This is the secret and key to inner peace and happiness! Author AVIS ViswanathanPosted on January 30, 2015 March 14, 2016 Categories Antilla, Art of Living, Barack Obama, Barkha Dutt, Happiness, http://schemas.google.com/blogger/2008/kind#post, Inner Peace, Intelligent Living, Michelle Obama, Mukesh Ambani, Narendra Modi, NDTV, Republic DayLeave a comment on The higher you go, the more grounded you must be PS: Also, please hold your own umbrella!